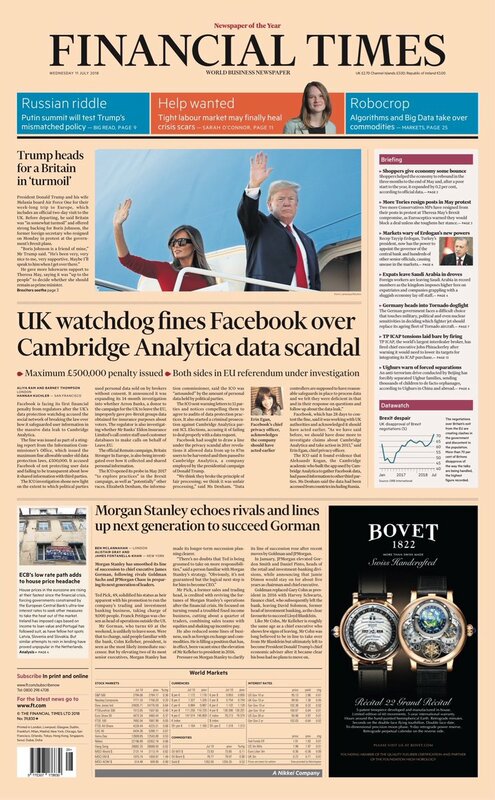 Facebook is appealing a paltry £500,000 fine for failing to abide by UK DPA in its dealings with Cambridge Analytica. 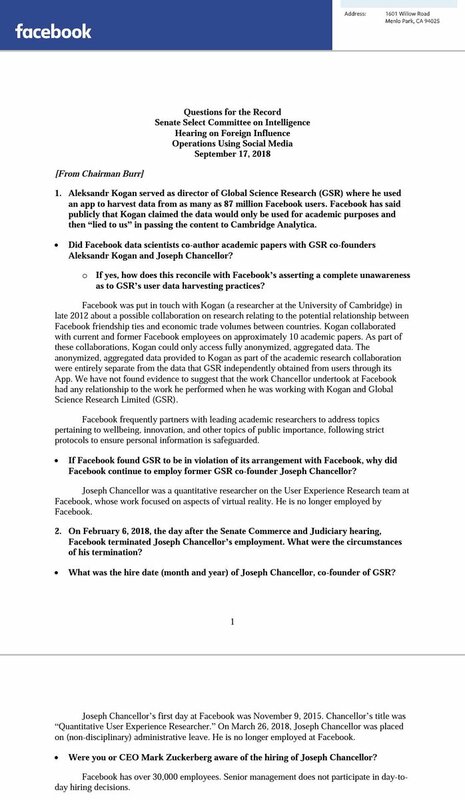 This is despite facebook‘s suspiciously stubborn refusal to explain Kogan‘s co-founder and facebook hire Joseph Chancellor to Congress. 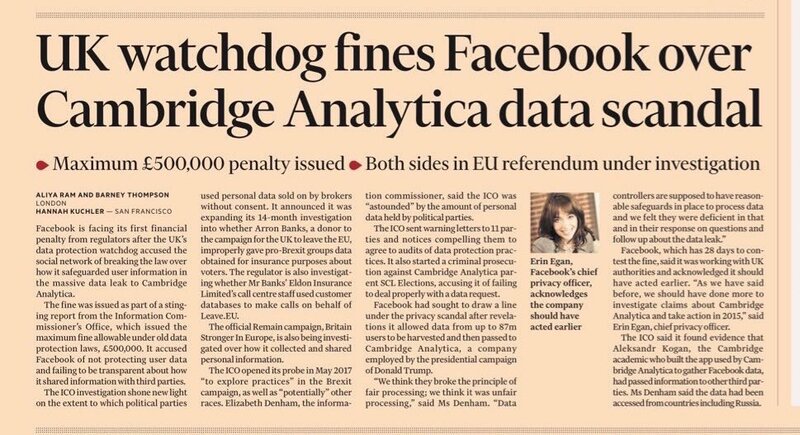 Facebook is appealing a paltry £500,000 fine despite the fact that its regulator has informed the public that questions remain as to whether illicit Facebook data was accessed from Russia. 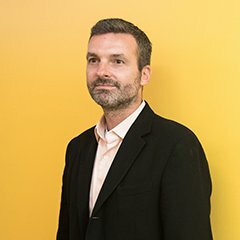 These matters have been referred by ICO to FBI. 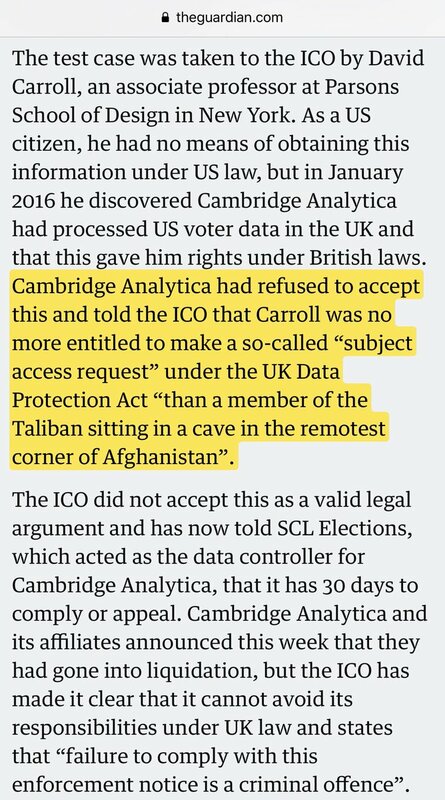 This is why the USA needs a data protection act. 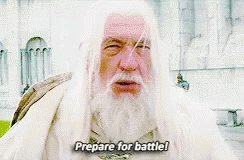 @SenBlumenthal asked tech industry if Americans deserve less privacy than Europeans (or Californians), the industry said no. And yet, Facebook is exerting its right to expliot our lack of protections to escape accountability here.